The Manifesto, which rapidly became far better known than Castro’s History Will Absolve Me, conferred an enormous degree of legitimacy among the progressive anti-Batista public to Castro’s 26th of July Movement at a time when it had not yet fully consolidated itself in the Sierra Maestra. 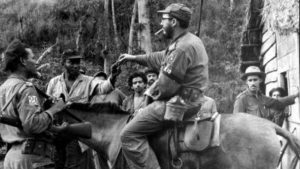 It turned out to be, in conjunction with a number of small but significant military victories against Batista’s troops, a major step in Fidel Castro’s journey towards becoming the hegemonic figure of the opposition camp. Moreover, the publication of the Manifesto in Bohemia, the Cuban weekly with the largest circulation in the island, during a period when Batista’s censorship had been suspended, deeply affected thousands of people, further propelling the 26th of July Movement towards their unrivaled hegemony over the other groups engaged in armed rebellion who had failed in their own confrontations with Batista’s armed forces. The Manifesto fell on fertile ground in a political culture where the notion of revolution, in the sense of a forceful overthrow of an illegitimate government, had wide acceptance, especially when the potentially divisive issue of a revolutionary, as distinct from a progressive reformist, social program, was set aside. By the fall of 1959, less than a year after victory, it became clear that Fidel Castro was moving in the direction of an alliance with the USSR and, months later, towards the transformation of the Cuban society and economy into the Soviet mold. While he later claimed that he had been a “Marxist-Leninist” all along, this was more likely a retrospective justification of the political course he took later, rather than an accurate account of his early political ideas. His decision was probably influenced by the fact that the victory of the Cuban Revolution coincided with the widespread perception in the late 1950s and early 1960s that the balance of world power had shifted in favor of the USSR. The Soviet’s test of its first intercontinental ballistic missile and the launch of Sputnik in 1957 had generated serious concerns in the US regarding Soviet supremacy in those key areas. And while the US economy was growing at a rate of 2 to 3 percent per year, various US government agencies had estimated that the Soviet economy was growing approximately three times as fast.28 Also, quite a few things were happening in the Third World that favored Soviet foreign policy, such as the Communist electoral victory in Kerala, India in 1957,29 and a left-wing coup that overthrew the Iraqi monarchy in 195830 (countered by a US invasion of Lebanon that followed shortly thereafter). Successes in Laos31 and a domestic turn to the left by Nasser in Egypt and by Sukarno in Indonesia (both allies of the USSR) further bolstered Soviet power and international prestige.32 This constellation of events may have persuaded Fidel that were he to follow the Communist road, he could count on the rising power of the USSR to confront the growing US aggression against Cuba, support a total break with Washington, and implement a Soviet- type of system for which he had an affinity given the great social and political control that it would confer on him. 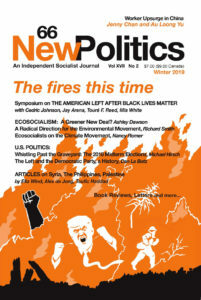 Originally published in International Socialist Review. Part II will appear in a future issue of Against the Current. Jorge Ibarra, Prologue to Revolution: Cuba, 1898–1958, 170. Steve Cushion, A Hidden History of the Cuban Revolution: How the Working Class Shaped the Guerrillas’ Victory (New York: Monthly Review Press, 2016). Thus, for example, an official pamphlet of the 26th of July Movement published in 1957 danced around the term imperialism “as already inappropriate to the American continent” although there were still forms of economic penetration and political influence similar to it. The pamphlet proposed a new treatment of “constructive friendship” so Cuba could be a “loyal ally of the great country of the North and at the same time safely preserve the capacity to orient its own destiny.” Movimiento Revolucionario 26 de Julio, Nuestra Razón: Manifiesto-Programa del Movimiento 26 de Julio, in Enrique González Pedrero, La Revolución Cubana (Ciudad de México: Escuela Nacional de Ciencias Políticas y Sociales, 1959), 124. Carlos Franqui, Diario de la Revolución Cubana (Paris: Ruedo Ibérico, 1976), 611. For a recent brief but thorough examination of “structural racism” in Cuba see Sandra Abd’Allah-Alvarez Ramírez, ¿Racismo “estructural” en Cuba? Notas para el debate,” Cuba Posible, September 6, 2017. https://cubaposible.com/racismo-estructu….